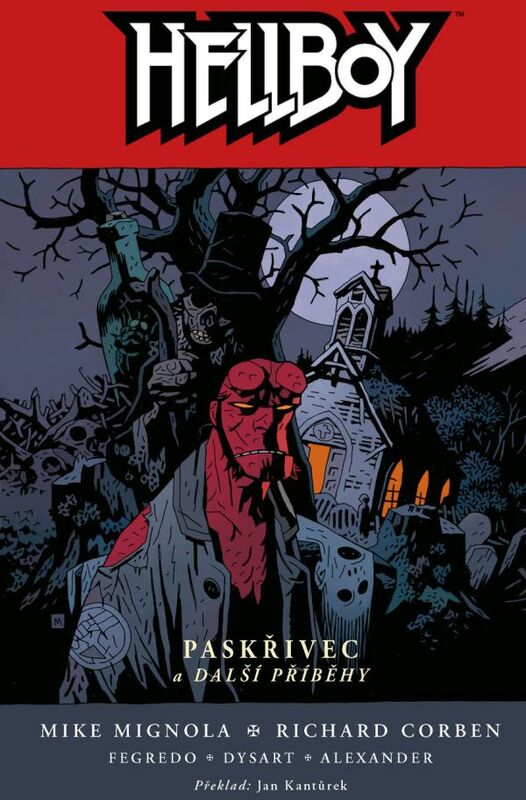 Comics Centrum have just released the new Czech translation of ‘Hellboy Volume 10: Paskřivec’ or ‘The Crooked Man and Others’ in English. The Hellboy comics are based around a team of supernatural misfits combating evil spirits and demons, almost like a darker and sexier version of Ghostbusters. Volume 10 even sees the red guy and his team dealing with headless pirates and who doesn’t like a headless pirate? WHO? Comics Centrum is a Prague based company that transforms the darker and more adult side of the comic world into Czech language, they also publish the popular ‘Sin City’ graphic novels which have also been made into films. Václav Dort is the company’s director and also helps with translating the comics into Czech. 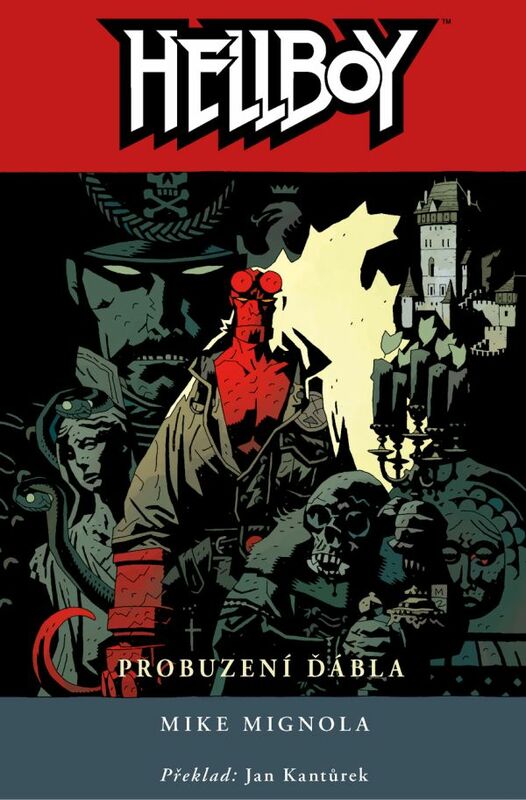 Read our interview below for some details on the comic world in the Czech Republic and its connection to Hellboy! Thanks for your time today. So tell me, what benefits are there from reading comics? For foreign people who live in Prague and want to learn Czech and Czech slang, it is the perfect way. Czech people do the same, we all learn English from film subtitles or books. Who would you compare yourself to? Which hero/villain character? I prefer stories and the graphics, not the heroes. I like when people are more into the stories than the heroes. Have you ever written anything yourself? No, but my grandfather was quite a famous author of many detective novels. Eduard Fiker – he was published in Germany a lot. We’ve been going for 11 years now and are perfectionists with translating, so the words in the Czech versions are really similar to the originals. The last ‘Sin City’ (Volume 7) that we translated is actually one of the best we have done so far. It is the best for foreigners too I think. And if they liked the film, they can also purchase the big collection ‘Kurva Velky Sin City’ – all seven volumes including the two that have been made into films. Wow… that’s a lot of Sin City. What about Czech comics? Are there any that foreigners should read? Czech authors don’t understand comics yet nor do they understand how to do them. They have not learned to properly use comic means of expression and to distinguish between illustrations and comics. How do you begin translating a comic? How long does it take? It’s completely different from comic to comic. I used a professional translator but had to rewrite and correct a lot of mistakes myself; it had lost reason and rhythm. It’s all about feeling. You need to spend a lot of time in the comic’s world to understand it. First main thing – It goes to someone who knows English well for the first draft corrections, and this guy is actually Slovak which is really interesting because he has a different perspective and feeling as well. Then it goes through language and grammar correction before it comes back to me. It gets read so many times. After all, just one change to a speech bubble can change the whole meaning of the page. For Shakespeare, I like to use E. A. Saudek translations. Today he is not that popular, but his translation of Shakespeare is the best ever in my opinion. And for the Bible I used translations from the first edition in Czech language – Bible Kralická. The text has best quotes, but has inaccurate translations in some places because it was mostly translated from Greek. So I needed to fine tune it. This was reflected most in the translation of the ‘Se7en’ comics. What is your favourite comic? ‘The Crow’ – I’m fascinated by how many emotions are put forward. I don’t know any other literature that would ever come close to the amount of emotion used in ‘The Crow’. I also had a chance to meet the author and he is a very cool and interesting guy. What is the difference between a comic and a graphic novel? A graphic novel is longer and more for adults. But here, people still don’t know the difference – to us they are all comics. But it’s starting to change, there is a border developing. Before they didn’t know the difference between ‘Hellboy’ and ‘Spiderman’. How would you describe Prague? Is it a bit like the Hellboy world? I’d say yes. One of the books is called ‘Prague Vampire’, which we actually got permission to change the name to. Originally it was called ‘Troll Witch’, and this short story is actually set in Prague. The second book from the series: ‘Wake the Devil’ is set in Karlstejn castle, but in the comic it is known as Giurescu castle in Romania. So we created a special cover for the book with Karlstejn on it. We had to get authorisation from the author Mike Mignola to do that. The movie Hellboy (2004) and the sequel Hellboy 2: The Golden Army (2008) were actually filmed in Prague, were you involved in the process? Yes, I was. I got to meet the author of the books Mike Mignola, the director Guillermo Del Toro and the main star Ron Perlman. They all signed a copy of the book for me and were all very nice. If you could immerse yourself in any comic world, which would you choose? I don’t think I want to be in any. Maybe in ‘The Goon’ – this is a fantastic world. It’s an incredible mix of zombies and gangsters. Thanks for your time and I look forward to upcoming titles!